Quoting of Aadhaar for filing of return of income and for making an application for allotment of Permanent Account Number will be mandatory from from 1st July, 2017. Section 139AA of the Income-tax Act, 1961 as introduced by the Finance Act, 2017 provides for mandatory quoting of Aadhaar / Enrolment ID of Aadhaar application form, for filing of return of income and for making an application for allotment of Permanent Account Number. The Finance Ministry has clarified that such mandatory quoting of Aadhaar or Enrolment ID shall apply only to a person who is eligible to obtain Aadhaar number. 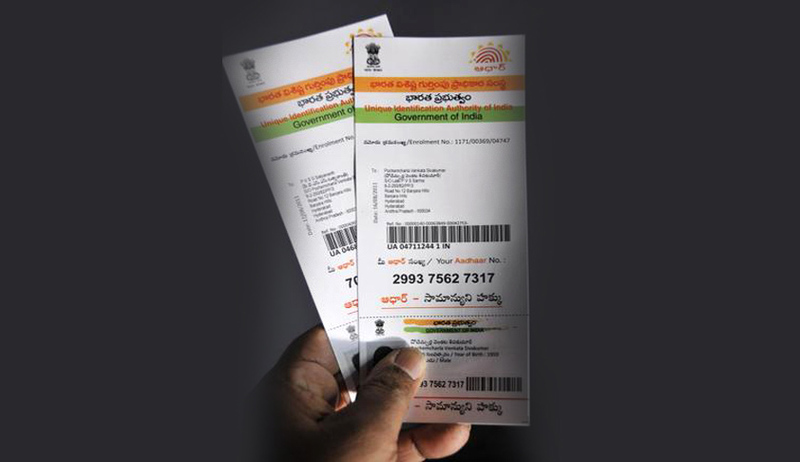 As per the Aadhaar (Targeted Delivery of Financial and Other Subsidies, Benefits and Services) Act, 2016, only a resident individual is entitled to obtain Aadhaar. “Resident as per the said Act means an individual who has resided in India for a period or periods amounting in all to one hundred and eighty-two days or more in the twelve months immediately preceding the date of application for enrolment. Accordingly, the requirement to quote Aadhaar as per section 139AA of the Income-tax Act shall not apply to an individual who is not a resident as per the Aadhaar Act, 2016”, said the press release issued Today.